The Japanese government took into account and signed off on the IR (Integrated Resort) Implementation Bill which is abbreviated as IRIB. 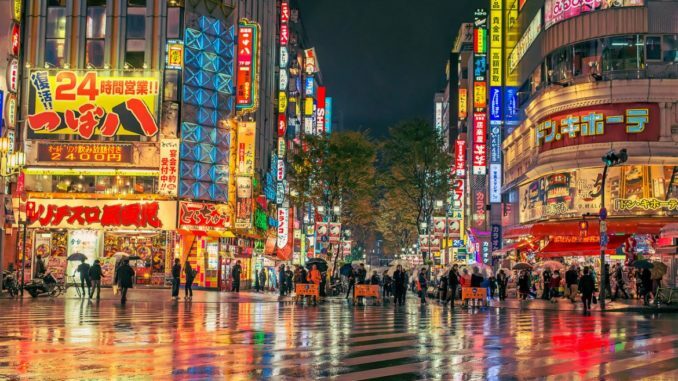 For casino lovers, this means that there is a possibility for several casinos to be built in Japan in the near future if the bill gets a green light. Since the bill was accepted by the government, the next logical step is for the Japanese Diet to gather and vote on the bill. Since the bill came into review by the Diet, several changes and tweaks have been made, thus prolonging the review period. This means that the pace with which the bill is being progressed is slower than expected and that there are some who eagerly expect for it to speed up and be completely approved. Since this is not the easy issue to discuss, the Diet primarily scheduled the meeting for June 20. However, they want to make sure that the discussion ends and the bill is passed on the same meeting, which may result in further prolongation of the date. LDP (Liberal Democratic Party) of Japan made it clear that the session needs to be conducted at the end of June or beginning of July and that there should be no further extensions as the gambling’s future of Japan cannot be on hold anymore. What sped things up a bit was the gambling addiction bill which was passed by House of Representatives on Friday and which was the final major obstacle for the IRIB to be taken into account and reviewed by the Diet. Komeito, a key partner of LDP agreed in April about several key issues in the bill. Namely, the things that were main points of discussion were entry fees, taxes and tax rates, and the size of the areas that will be allowed for gaming. All of these had to be decided in order for the bill to be passed to the Diet and in order to speed up the whole process. Japan’s PM Shinzo Abe stated that there were several benefits to passing one such bill since they would attract tourists from all over the world who will stay longer due to such venues. He also claimed that serious measures would be taken in order to prevent issues such as gambling addiction. The bill itself would authorize three IRs to be built in the locations which are pre-approved. One of the measures to prevent addiction will be the visit limit which will allow Japanese citizens a maximum of three visits per week or ten per month. Furthermore, there will be an entry fee of approximately $55 which would have to be paid by Japanese. Operators who are caught to be doing this type of business illegally would be fined $4.7 million. Another measure is that the space for gaming can be up to 3% of the total IR area and the taxes imposed on casinos will be 30% of their income. Nevertheless, analysts claim that there will be a huge income for the casino owners, despite the enormous tax rates.